When we travel, we like to find interesting local food, snacks and quaint eating places. While we knew some of the things we must eat during this trip of ours, we found a few more interesting places as well. 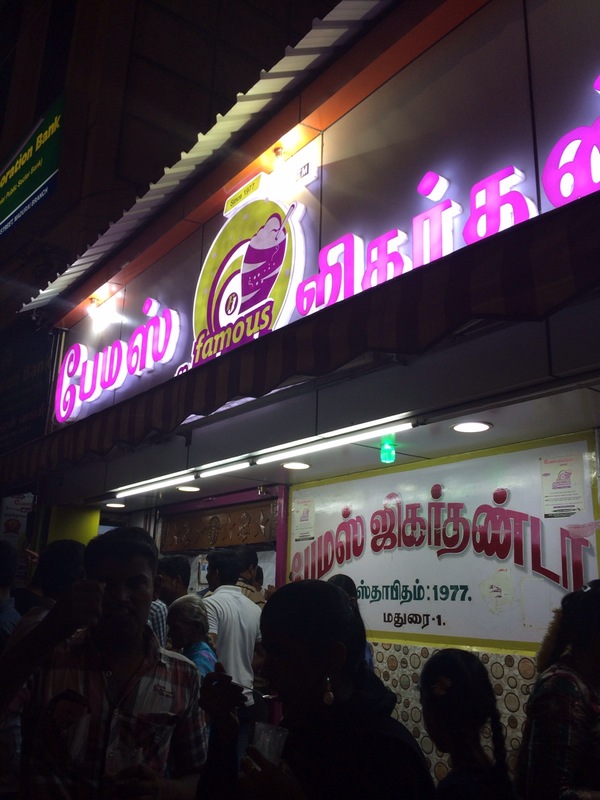 First, in Madurai, we knew we had to have the “Jigarthanda” and eat at Murugan Idli shop. 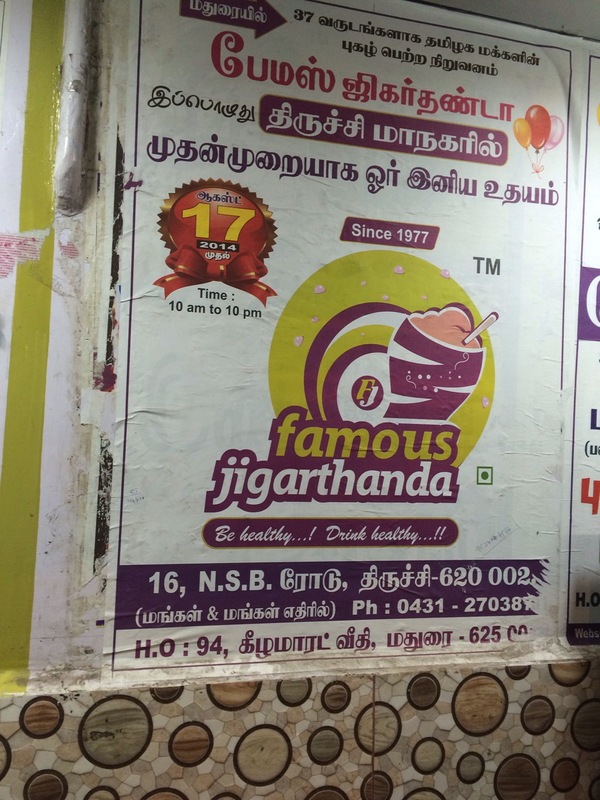 When Krishnan Subarmanian came to meet us, we asked him about both these and he suggested “Famous” Jigarthanda, apparently the best and oldest place which didn’t have a name till recently :). It’s on the Kamaraj salai a few 100 meters from the Kamaraj statue. It was established in 1977 and do have it but earlier in the day. It’s a complete sugar rush and people throng it !! Be healthy… drink healthy is the slogan… but the sugar overdose doesnt leave anything healthy in the drink ! We walked around the Meenakshi Amman temple everyday and discovered the following eating joints – Gopu Iyengar’s tiffin centre, serves amazing chutney and their Idlis are huge. They open at 7 am. Breakfast is served till 11 am. Then they open from 4 pm to 8 pm. This is definitely recommended. Then we found another hidden snack place called Nagapattinam Halwa shop. 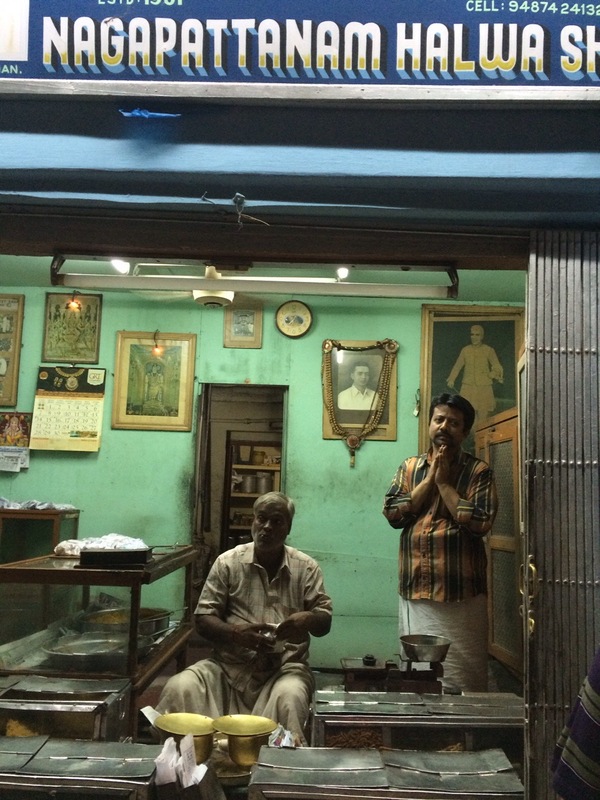 They have the famous Tirunelveli halwa and it’s quite good and this store was opened in 1901. It’s also within the temple perimeter. 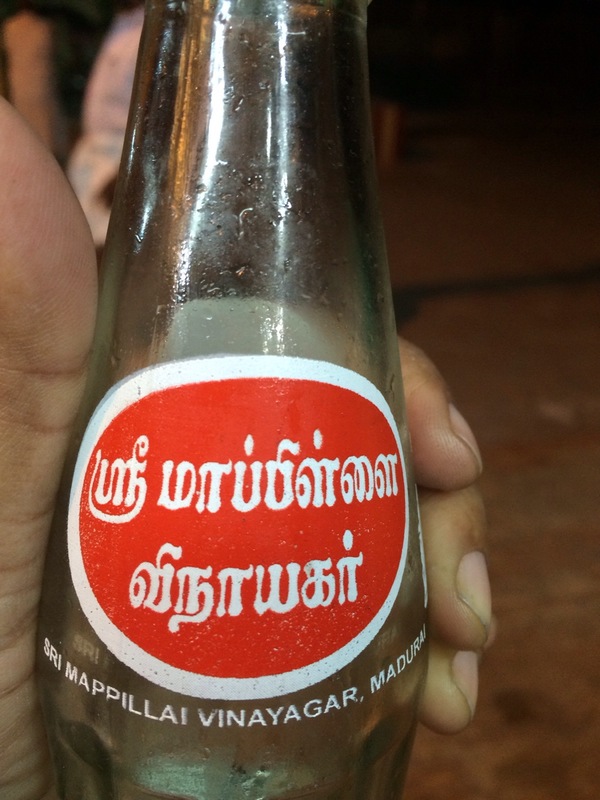 Please have the “panneer” soda and the most famous brand is Sri Mappillai Vinayagar. 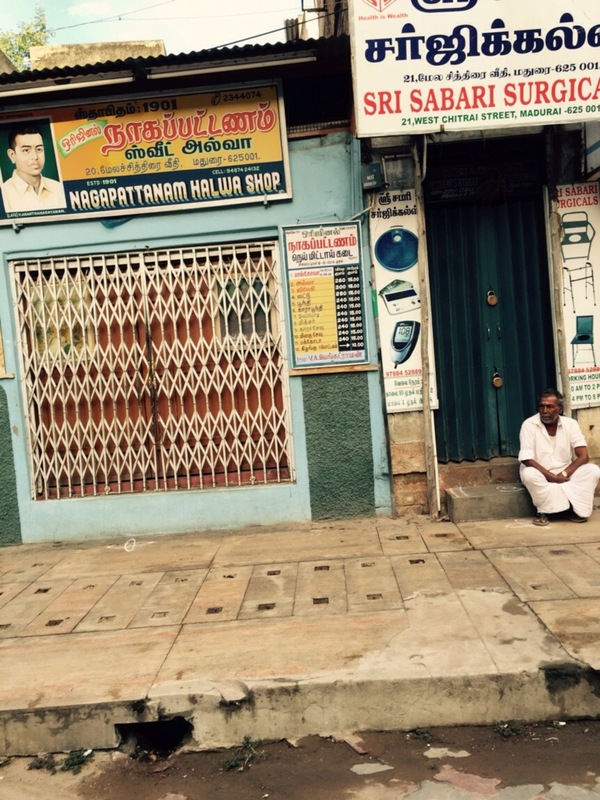 The other recommended store is Sumangali home needs. This is a tiny store opposite the Hotel Modern which is itself another landmark restaurant. 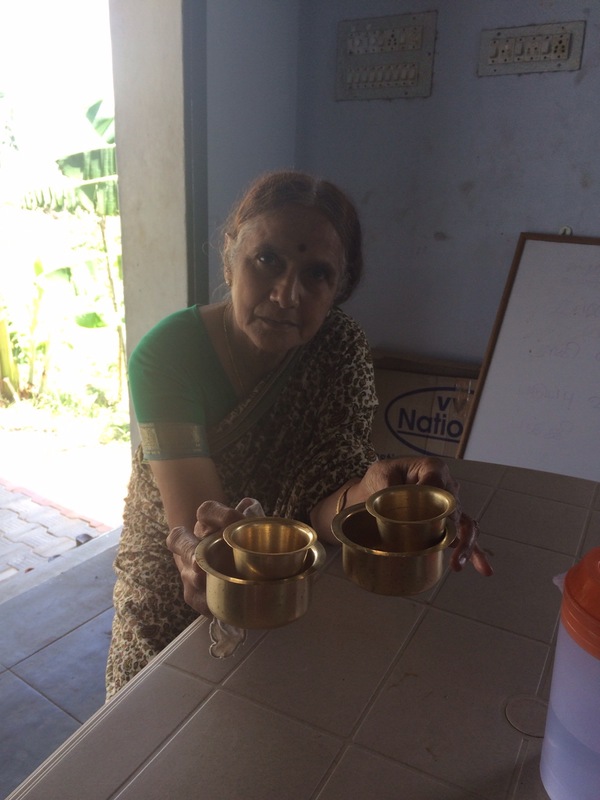 The Sumangali store supports women groups. Please buy the “murukku” here, the “adirasam” is not recommended, it’s too oily and frankly not tasty. The Hotel Modern is recommended for the lunch – especially the “paruppu podi”, just awesome. 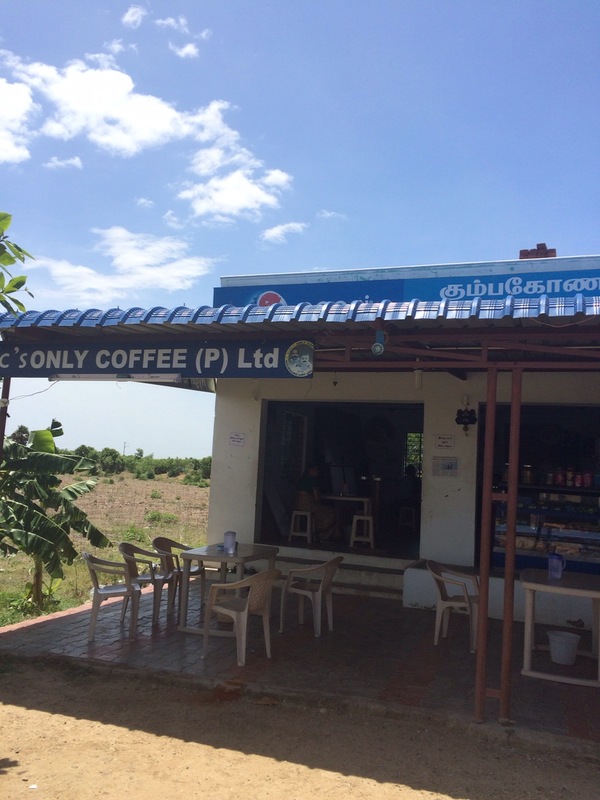 From Madurai when you exit towards Sivakasi, about 40 kms on your left you will see this small coffee stop called “kdfc” … The famous Kumbakonam degree coffee. But please stop only at the store that is standalone and says “kdfc”. It has a mother daughter duo running it and the coffee is strongly recommended. The masala Vada is excellent too according to Krishnan and mom. The mother daughter duo are great – we took a packet each of potato chips, banana chips and peanut burfi (kadalai mittai) and the daughter didn’t give us the banana chips saying they are stale !! Outstanding customer service and they have our loyalty for life. We went from Madurai to Cutrallam. There is a place on the way called Srivilliputhur … It has the famous “Andal” temple where the Goddess has a special hairdo. When in Srivilliputhur please please please stop and eat the “milk khova”. My friends know, I don’t have a sweet tooth, but this was just outstanding. We polished off 250gms between the three of us in one sitting :):):). While we stayed at Cutrallam, the purpose was to visit Tirunelveli, Mom and my birthplace. Besides meeting my Periyamma (aunt) and Mama (uncle), we had to buy the Tirunelvelli special halwa. It’s also known as “irutu kadai” halwa as it is made in dark places. Our favorite is Laxmi Vilas Lala Mithai kadai. Their shop is opposite the old bus stand and at the point where you turn towards the railway station. Please buy loads of the halwa and a snack called “kara chev”, just outstanding. Keep thinking of these delicacies and I will post another one a little later with part 2.